In 2013 after years of solitary running with very little running knowledge, like many others looking to keep fit & enjoy the outdoors, I joined Castlebar FitforLife and also joined Castlebar AC as I became hooked on running. On April 7th 2014 I went for a recovery run with some friends from Castlebar FitForLife around Lough Lannagh. I fell on my knee and couldn’t walk properly for three weeks. I then ran the West of Ireland mini marathon and Ballina half marathon with a lot of knee pain and I had even pain walking. At this stage I got in contact with Martin Mc Intyre at the SISM clinic for treatment. Martin saw me very quickly & after examination told me that I was more than likely suffering from a patella femoral issue and a secondary condition of patella tendonitis. With treatment and some work with The Running Team and Mark at SISM, I managed to get back to treadmill running pain free as they designed a specific programme specifically suited to my injury. I now began to up my training load on the track and began experiencing some pain with this increase in workload. My knee was imaged and after an injection to help settle my patella I began to train fully. I have been training hard for the past few months, continuing the rehab that I received from Martin & Mark & we are in regular contact. I am back at the track training with my club. Before each session, I am engaging in my band work to engage my glutes to power my running. My band work is making me stronger. The correct running technique is making me faster in my training sessions. I am training faster. I am racing faster. 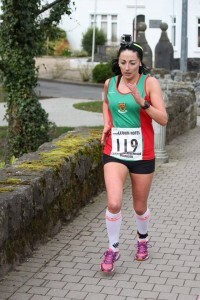 On March 14th, I entered my first race in nearly a year, The Castlebar Adventure Duathlon, and won the short course relay and I have now set a new PB and the correct technique without a shadow of a doubt has made me more efficient & a lot faster than I was before. I also run in the confidence that I am less likely to injure myself because I know now how to land correctly & I am no longer over-striding putting pressure on my knees. I could not have achieved any of this success without the expert guidance & treatment from Martin & Mark at the SISM Clinic. I would recommend the clinic to anybody who has an injury, or anybody who simply wants to improve their running technique. You are guaranteed success. FashionIn 2006 he was grabbed by the Kid Mike Santorelli Jersey Kansas City Chiefs’ Larry Johnson and pulled down by his hair as he was Authentic White Ryan Getzlaf Jersey running for a touchdown after an intercepted Women Shawn Horcoff Authentic Ryan Kesler Jersey Jersey pass. Hollywood star Betty Grable insured her legs $1m Silent movie star Ben Turpin insured his cross Men Mike Santorelli Jersey eyes $25,000 Dancer Michael Flatley had his legs insured 25m ($38m) Rolling Stone Keith Richards’ hand 1m ($1.5m) Comedian Ken Dodd’s Men Ryan Kesler Jersey Authentic Scott Niedermayer Jersey teeth 4m ($6m) Polamalu, 29, is Samoan by descent and says he has not cut his hair since 2000. In recent years long hair has become fashionable in the NFL, and an estimated 10% of players now Kid Dany Heatley Jersey have hair Men Shawn Horcoff Jersey sticking out of their helmets. Most are defenders, who generally Youth Scott Niedermayer Jersey do not get into positions where they could be tackled by their hair while running with the ball. Commentators and fans have been debating the fashion for Women Simon Despres Jersey several years. It is not against the rules to pull someone down by the hair. In 2008 the NFL’s governing body considered making new rules requiring long hair to be kept under helmets away from the players names on their backs, but the suggestion was rejected. 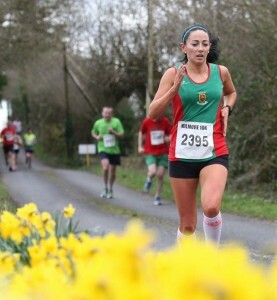 One Comment to "Mairead Cafferkey – Runners Knee"